If you’re searching for a new or used INFINITI, trading in your current car, truck, or SUV is a simple way to make your next INFINITI purchase even easier. 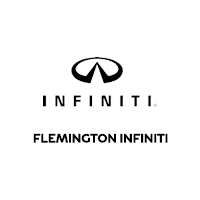 At Flemington INFINITI, we offer Kelley Blue Book’s Value Your Trade tool for drivers from drivers from Bridgewater, Scotch Plains, and beyond. Below, enter in necessary fields like VIN, make, and model. Then, you can put your trade in estimate toward the purchase of a new, used, or certified pre-owned INFINITI. It’s truly that easy! Take a few moments to complete the fields in the Kelley Blue Book Value Your Trade tool. Then, contact us today with questions – or to get started with trading in your old vehicle for luxurious new INFINITI SUV, sedan, or coupe. Be sure to check in with us about how much the INFINITI QX60 or any other INFINITI SUV will cost!